Event t-shirt, featuring an orienteering themed riddle by Bill Manhire. Go to Latest News under Overall Information tab for more details. 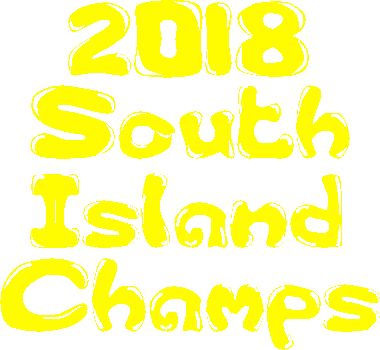 Based entirely within North Dunedin suburban area, in the 2nd week of the NZ school holidays, the 2-day, 2018 South Island Orienteering Championships will be held on brand new or revised areas, mapped in 2016/7 by Bryan Teahan. Afternoon, Saturday 21st April. Urban Short Distance - a "long" Sprint event, in Dunedin Botanical Gardens. Sunday 22nd April. Middle Distance - a "long" Middle Distance. Competitors are taken by bus to the top of Signal Hill at 310m, then race down through tight/technical/single tracked, open pine or native forested/tussock vegetation, into a multi-level high school complex, and finish at sea level in a stadium. Spend a 2nd night in Dunedin and come to a low key social function, craft beer tasting / tour at Emersons Brewery, Dunedin, on the Sunday evening. Travel through to Central Otago on Monday morning, for an event in Wanaka on the afternoon of Monday 23rd April, and during the morning in Queenstown Tuesday 24th April (these events will comprise the South Island Schools Orienteering Championships). Events organised by Chris Forne (Remarkable Orienteering Club, Queenstown) and Fraser Mills (Upper Clutha Orienteering Club, Wanaka). See their websites for further detail. Drive back to Alexandra on the Tuesday afternoon for the model event of the 2018 National Mountain Bike Orienteering Championship series, 18km north of Alexandra. A premium time of year in Central Otago for autumn colour, and pleasantly cooler-than-summer temperatures for MTB competing. Commemorate Anzac Day in Alexandra at dawn on Wednesday 25th April, and compete in the MTBO Sprint that afternoon, on an old gold mining area close to Alexandra. Thursday 26th April. MTBO Long Distance. Close to Alexandra. Friday 27th April. MTBO Middle, 17km north of Alexandra, with prize giving at Chatto Creek pub. Highland Events will hold a Rogaine on Saturday 28th April, near Poolburn. They offer 3, 6 and 12 hour events with an MTB option on the 6 hour. Flying down? Book to arrive in Dunedin at the latest on the morning of Saturday 21st April, and go home from either Queenstown, Dunedin or Christchurch airports on Sunday 29th April.